SAN FRANCISCO -- Robert Bosch began playing a key role in developing Volkswagen Group's emission-cheating technology as early as the late 1990s, lawyers for VW owners said in a U.S. court filing that includes detailed allegations against the German supplier. Bosch was an "active participant in a massive, decade-long conspiracy with VW," the lawyers said. The world's largest auto parts supplier has been a defendant in the case as VW negotiated a multibillion-dollar U.S. buyback plan for diesel vehicles rigged to cheat pollution-control tests. Evidence obtained by car owners shows that Bosch participated in both the development of the defeat device and in the scheme to prevent U.S. regulators from uncovering the device's true functionality, according to the filing Tuesday in San Francisco federal court. VW's "ingeniously designed defeat devices" were armed with software provided by Bosch, according to the filing. They were designed to recognize when the car was being tested in a lab or smog station to feign clean emissions and compliance with pollution standards. All the while, according to the filing, Bosch marketed "clean diesel" technology in the U.S. and lobbied U.S. regulators to approve the vehicles included in VW's settlement. A Bosch spokeswoman said the company took the allegations seriously and is cooperating in several investigations, but declined to comment further. VW declined to comment on the filing, except to say that it had no effect on its settlement of a civil complaint over the diesel scandal. Most of the allegations involving Bosch remain under seal because the documents have been designated as confidential by VW, the plaintiffs' lawyers said in the court filing. The documents include records and communications between Bosch, VW and U.S. regulators. One 2011 email to the California Air Resources Board, among other communications, demonstrates "Bosch's deep understanding of what regulators allowed and would not allow, and what Bosch did to help VW obtain approval," the filing said. "Bosch played a crucial role in the fraudulent enterprise and profited handsomely from it," the court papers say. Bosch makes an engine control unit, often referred to as the "brain" of the engine, used by several top automakers including VW. That system controls a vehicle's acceleration and power and is extensively customized to give each car model its own unique feel. Bosch ranks No. 1 on the Automotive News list of the top 100 global suppliers with estimated worldwide sales to automakers of $44.8 billion in 2015. The company has extensive manufacturing and r&d operations around the world, with about 20 percent of its automotive revenue generated in North America. The company, from the beginning of the scandal, has publicly acknowledged its role in developing the software. Last September Bosch said it supplied software and components to VW. Responsibility for configuring handling characteristics of these components "lies with Volkswagen," a Bosch spokesman told Automotive News Europe in September 2015. In the court papers, the attorneys said Bosch had worked "hand-in-glove" with Volkswagen to develop a so-called cheat device to circumvent emissions tests and trick regulators. The engine control system for VW's clean diesel engine was customized through years of close collaboration between the carmaker and Bosch, the lawyers said. "It is inconceivable," the attorneys wrote, "that Bosch did not know that the software it was responsible for defining, developing, testing, maintaining and delivering contained an illegal defeat device." Bosch CEO Volkmar Denner said in January he had ordered an internal investigation and was cooperating with authorities. 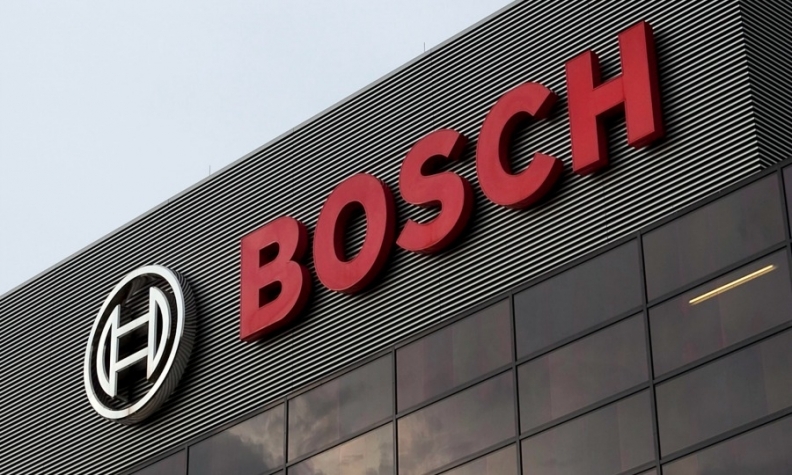 In April, Bosch said it had set aside 650 million euros ($735 million) for potential legal costs, including for an ongoing investigation into the company's role in Volkswagen's diesel emissions manipulation scandal. Reuters reported in November that U.S. federal prosecutors were investigating whether Bosch knew or participated in VW's efforts to cheat on U.S. diesel emissions tests. In June, Deputy U.S. Attorney General Sally Yates said the VW probe is looking at "multiple companies and multiple individuals." VW has agreed to pay up to $15.3 billion to buy back or fix 475,000 2.0-liter diesel vehicles in the United States, offset excess emissions, invest in zero emission vehicle efforts and address some state claims. It still must win approval of plans to address 85,000 polluting 3.0-liter vehicles in the U.S. The automaker has now set aside nearly $20 billion to cover costs of the scandal. Bosch isn't a part of VW's settlement, which won preliminary approval from U.S. District Court Judge Charles Breyer in July. Bosch has not been charged with any wrongdoing. But German prosecutors said in December that they were investigating whether staff at the Stuttgart-based supplier were involved in VW's emissions rigging. VW continues to be the target of criminal probes in the U.S., Germany and South Korea. The carmaker said this week it's working to reach a final settlement with the U.S. Justice Department and other regulators. It also faces lawsuits by car owners in Europe, where most of the 11 million rigged vehicles were sold, as well as environmental and other types of claims in the U.S. The case is In Re: Volkswagen "Clean Diesel" Marketing, Sales Practices and Products Liability Litigation, MDL 2672, U.S. District Court, Northern District of California (San Francisco).